Criminal Quilts Book is open for pre-orders now! Pre-orders are open until 20th July at a discounted price of £10 per copy which includes a signature, free postcard and the chance to include your name as a supporter in the back of the book. The books will be printed at the end of July and posted out from mid-August. You can also collect at Festival of Quilts. As well as the discount, your pre-order will help me pay for the massive printing costs for this book. I really appreciate you pre-ordering and will include your name (or another as preferred) in the back of the book. Please include your preferred name in the order. This year’s Festival of Quilts will be a celebration of my winning the Fine Art Quilt Masters prize last year. I am giving a talk about the Criminal Quilts series past and present and the stories behind the emotive and engaging photographs which inspired my work. Bookings open in April here. Talk: Criminal Quilts: The story behind the Fine Art Quilt Masters winner 2016. Friday 11th August 13.30-14.15. £8. Ruth Singer will discuss the complex story behind her winning ‘Criminal Quilt’, inspired by archive photographs of women criminals. In this talk she will explore the background to this work and how it fits into her other research-led art textiles work and ongoing projects exploring heritage, personal stories and textiles with a narrative. 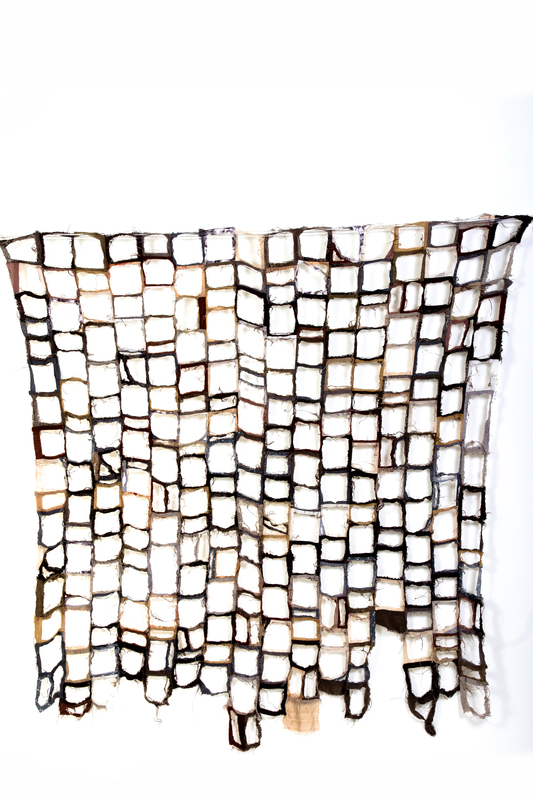 Ruth will also discuss the techniques and materials used to create this and other work. I am also running a half day workshop exploring the techniques I used to create this work. In the Shadows. Reverse appliqué with transparent fabrics. As usual I will also be running one hour introduction to trapunto quilting quick and easy workshops. I’m astonished and delighted to have won the Fine Art Quilt Masters competition at the Festival of Quilts today for my piece Criminal Quilts: Hanging. Huge thanks to my friend, supporter and mentor Liz Cooper for encouraging me to push on with this work, the judges and the sponsors and of course to Staffordshire Records Office and Shire Hall Gallery for initiating this entire series of work starting with a commission four years ago. True to form, I immediately started spending my winnings on antique textiles and vintage threads!